This version appears to be complete and fully functional. 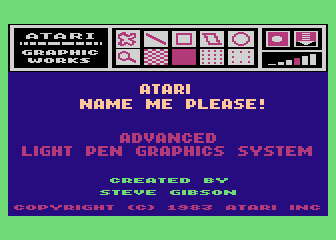 About the only thing that makes this version different from the final is that the program says "Atari Name Me Please" instead of AtariGraphics on the title screen and has a different copyright message. Oddly the label has the name of the program on it, despite the prototypes claim that it had not yet been named. 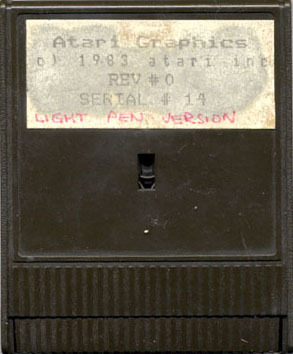 Also of interest is that words "Light Pen Version" are written on the label. 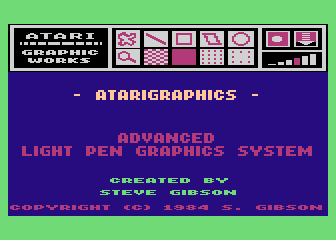 This is odd considering that the program was specifically made for the Atari lightpen. Perhaps a version was made for another input device?